Advances in anesthesia and surgery have made routine procedures safer, with a low rate of complications. However, problems can arise due to pre-existing conditions not evident during a pre-anesthetic physical exam. To avoid this, we recommend pre-anesthetic testing. Pre-anesthetic testing can include any or all of the following tests: complete blood count (CBC), blood chemistries, anemia check, and a urinalysis. We use injectable and gas anesthesia, always keeping in mind your pet's health and age. IV catheters are placed and fluids are run, along with anesthetic monitoring during every dental procedure. Each and every tooth is charted along with the condition of the gums. We check for tartar, enamel defects, fractures, pockets, and potential mobility. The teeth are then cleaned with an ultra-sonic scalar, and then polished. Digital full mouth radiographs are taken to determine the health of the teeth below the gum line. We check for open pulp cavities, abscesses, resorbing or broken roots, and potentially teeth with extra roots. Dr. Brilla uses a high speed drill to extract teeth; this allows her to section teeth depending on the number of roots a tooth has, and/or round off any sharp edges of jaw bone that remain. Fluoride is applied to your pet's teeth at the end of every dental! 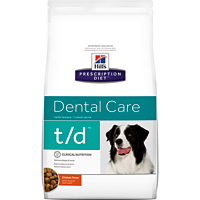 85% of all pets over the age of two have developed periodontal disease, which is the most common disease in pets. Periodontal disease starts when plaque; a mixture of bacteria and food debris, mineralizes into calculus. This process takes only 48 hours and once formed it cannot simply be "brushed away". The calculus leads to gingivitis (infection of the gum) and periodontal disease; that left untreated can result in the loss of bone and eventually teeth. Periodontal disease also causes infection in your pet's mouth. The bacteria from this infection enters your pet's bloodstream 24 hours a day and showers their organs. This can cause significant damage to the heart, kidneys, and liver. However, all hope is not lost! A professional tooth cleaning is available here at Northland Veterinary Services and we also offer a wide range of at home care that you can utilize to help prevent periodontal disease in your pet! At Home Dental Care Options! DAILY BRUSHING is the most effective method of prevention available, but must be performed on a daily basis. Daily brushing can help prevent up to 80% of tartar buildup! Below is a list of other options available; when considering these options keep in mind that the best choice for your pet is the one that will actually get done. Please choose an option that works best for both you and your pet! 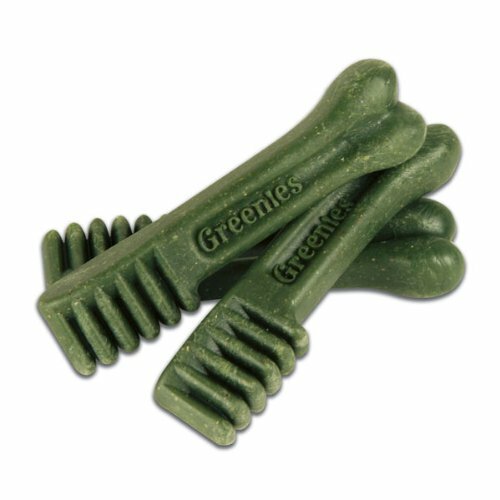 Greenies are also a good daily "treat" that reduces tartar buildup when given on a daily basis! When fed Science Diet t/d on a daily basis, it reduces tartar buildup by 40%! 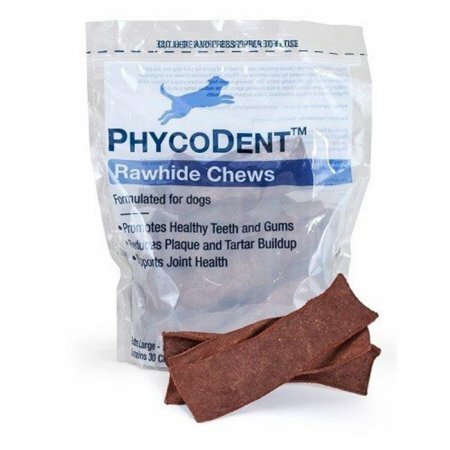 Phycodent Rawhide Chews help to reduce tartar and they also aid in joint health support.